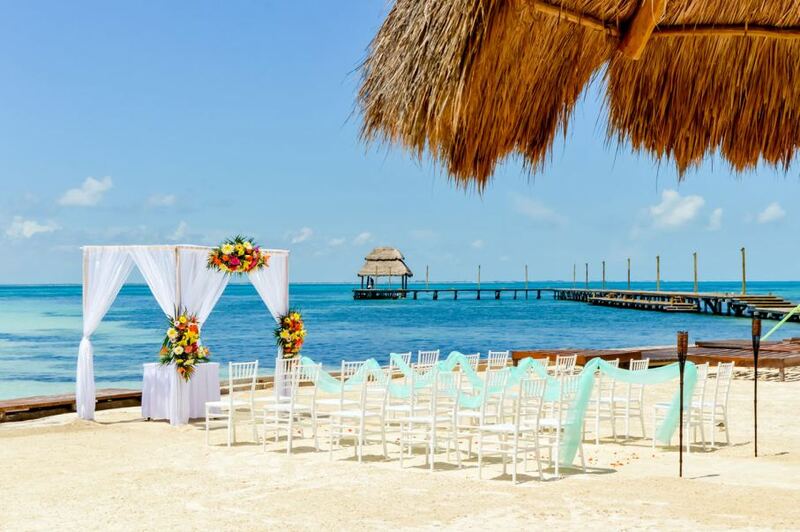 ISLA MUJERES, Mexico - Sept. 30, 2016 - PRLog -- With the Caribean sea, unforgettable blues and romantic beach wedding décor and outdoor banquet venues , our highly specialized team can assist you find your perfect wedding cake, photographer, florist, or activities for your guests. Yes, you are right ….. Perfect stress- worry free beach wedding! Located in an exclusive private key , ranked as one of the world's best islands Mia Reef Isla Mujeres featuring 163 Deluxe Room & Suites with trendy contemporary design with Mexican art, the hotel also has two pools, one of them a natural reef formation (sea-aquarium) the best beach on the island, and a private deck . Mia Reef also hosts a great spot for snorkeling, kayaking and biking. Your private island. Live the Paradise Within Paradise. You will be delighted by our unique Mia Reef experience including: Daily Breakfast, Lunch, Dinner and Snacks • International and domestic drinks • Fruit juices and soft drinks • Daily restocked mini-bar with soft drinks, beer and bottled water • Daily maid service • Non-Motorized Water Sports • Live music and entertainment • Theme parties • Blue Moon lounge Oceanfront bar • Free Wi-Fi in lobby & restaurants • All taxes and gratuities. Discover our exclusive Villas with breathtaking and inspiring ocean views, these suites feature balcony to enjoy breakfast or an unforgettable romantic candlelit dinner with the ocean waves to top the ambiance.